Note they have moved the car hire slightly, you now emerge from the left on roundabout 2! Drive into village staying on the main road until you cross the river. Immediately after the bridge is a turn left signposted Citou. Turn Left. Continue up the hill for 1.5 Km (passing Le Moulin and Pont Romain on your left) L'Olivette is on your Right. You will need first gear for the drive way! 66.7 Km Turn right onto D11 Sign posted La Redorte. Continue through La Redorte, Rieux and Peyriac. 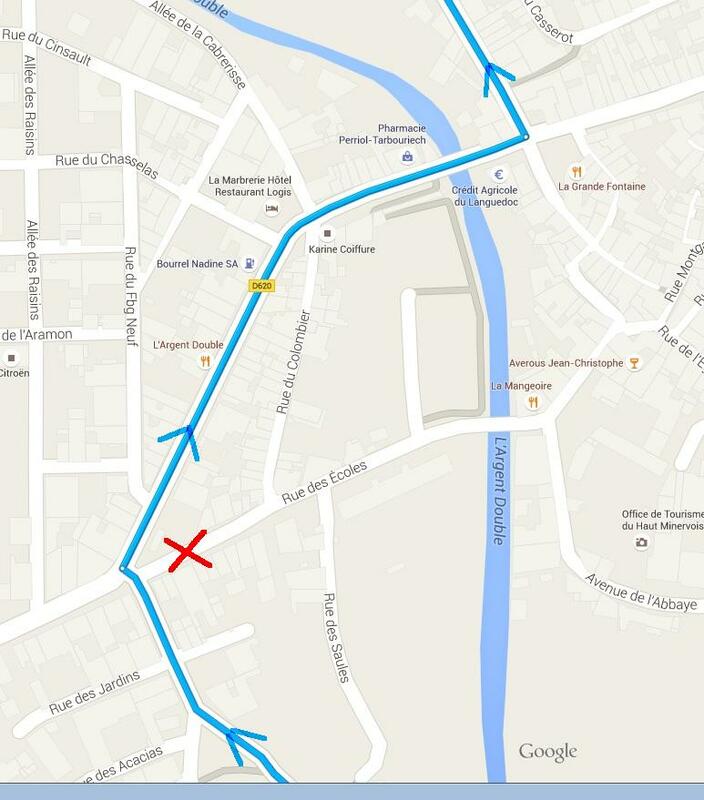 79.6 Km Turn right onto D115 just as you pass the Hamlet of Tintal d'Abrens & continue into Caunes. Continue up the hill for 1.5 Km L'Olivette is on your Right. You will need first gear for the drive way! The next roundabout is the one at 11.4 Km on the Beziers Airport route.